James Albert LONG [Parents] was born in 1852 in , Henderson, North Carolina. James married Harriet Elvira "Het" MC MINN on 25 Dec 1878 in , Henderson, North Carolina. Harriet Elvira "Het" MC MINN [Parents] was born on 9 Oct 1856 in , Henderson, North Carolina. She was christened in , Henderson, North Carolina. She died on 3 Dec 1931 in Pinner Grove, Buncombe, North Carolina. She was buried in Camp Grounds, Shaw Creek Church., Henderson, North Carolina. Harriet married James Albert LONG on 25 Dec 1878 in , Henderson, North Carolina. J. Oscar LONG was born in 1879. F viii Harriet Josephine LONG. M ix Mitchell Watson LONG. Andrew Jackson "Andy" DRAKE [Parents] was born on 6 Mar 1856 in , Henderson, North Carolina. He died on 20 Dec 1928 in , Henderson, North Carolina. Andrew married Emily Jane MC MINN on 5 Dec 1877. Emily Jane MC MINN [Parents] was born on 13 Dec 1859 in , Henderson, North Carolina. She died on 10 Aug 1932 in Clear Creek Twp, Henderson, North Carolina. She was buried in Ebenezar Baptist Church Cemetery, Henderson, North Carolina. Emily married Andrew Jackson "Andy" DRAKE on 5 Dec 1877. M i Jessie Andrew DRAKE was born on 21 Nov 1879. He died on 28 Jul 1943. Mary Jane "Mollie" DRAKE was born on 22 Mar 1882 in , Henderson, North Carolina. She died on 14 Sep 1963. 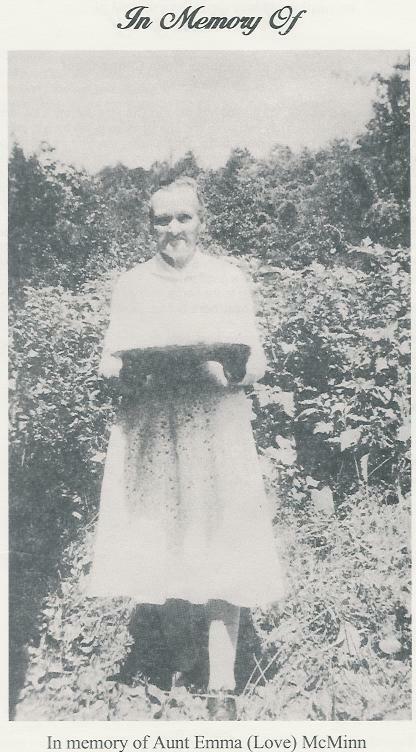 She was buried on 16 Sep 1963 in Locust Grove Baptist Church, Hendersonville, North Carolina. F iii Harriet Louise "Lou or Lula" DRAKE was born on 29 Sep 1886. She died on 3 Nov 1961. F iv Annie Elizabeth DRAKE was born on 15 Jan 1889. She died on 1 Jun 1960. F v Susan Elzora "Sue" DRAKE was born on 15 Dec 1891. She died on 8 Nov 1968. M vi Robert Thomas "Bob" DRAKE was born on 4 Jun 1894. He died on 27 Sep 1977. M vii Mack Benard DRAKE was born on 23 Dec 1896. He died on 6 Jul 1971. James Henry "Jim" DRAKE was born on 2 Jun 1899 in , Henderson, North Carolina. He died on 2 Feb 1981. Hezekiah DRAKE “Jr” [Parents] was born in 1821 in , Henderson, North Carolina. He died in 1880. He was buried in Ebenezer Baptist Church Cemetery, Henderson, North Carolina. Hezekiah married Jane CANTRELL in 1836. Jane CANTRELL [Parents] was born in 1815 in , Henderson, North Carolina. She died on 17 Jul 1887 in , Henderson, North Carolina. She was buried in Ebenezer Baptist Church Cemetery, Henderson, North Carolina. Jane married Hezekiah DRAKE “Jr” in 1836. M i Thomas B. DRAKE was born in 1840. Elias Larce DRAKE was born in 1842. Sarah Zilthia DRAKE was born on 22 Aug 1845 in Hendersonville, Henderson, North Carolina. Mary Elizabeth DRAKE was born on 22 Feb 1850 in , Henderson, North Carolina. James B. DRAKE was born in 1852 in , Henderson, North Carolina. F vi Malinda Jane DRAKE was born on 23 Feb 1853. She died on 30 Jan 1939. M vii Andrew Jackson "Andy" DRAKE was born on 6 Mar 1856. He died on 20 Dec 1928. Leander Pinkney DRAKE was born on 22 Aug 1857 in , Henderson, North Carolina. James Newton Davis "Newt" MC MINN [Parents] was born on 28 Aug 1861 in Fruitland Section, Henderson, North Carolina. He died on 15 Apr 1917 in , Henderson, North Carolina. He was buried in Ebenezar Baptist Church Cemetery, Henderson, North Carolina. James married Emma Elizabeth "Emmie" LOVE on 23 Oct 1885. Emma Elizabeth "Emmie" LOVE [Parents] was born on 8 Sep 1870 in , Henderson, North Carolina. She died on 28 Feb 1955 in , Henderson, North Carolina. She was buried in Ebenezar Baptist Church Cemetery, Henderson, North Carolina. Emma married James Newton Davis "Newt" MC MINN on 23 Oct 1885. Maude MC MINN was born in 1885 in , Henderson, North Carolina. She died in 1885 in , Henderson, North Carolina. Robert MC MINN was born in 1887 in , Henderson, North Carolina. He died in 1887 in , Henderson, North Carolina. M iii George Pinkney MC MINN was born on 5 Feb 1889. He died on 27 Feb 1970. M iv Lola Welch MC MINN was born on 15 Jul 1891. He died on 7 Jul 1971. F v Bertha Melinda MC MINN was born on 12 Jan 1894. She died on 28 Apr 1972. M vi James Everett "EBB" MC MINN was born on 12 Sep 1896. He died on 12 Jan 1981. F vii Lula Rebecca "Lou" MC MINN was born on 8 Jun 1900. She died on 5 Dec 1989. F viii Emma Lee MC MINN was born on 31 May 1904. She died on 22 Nov 1970. John Wesley LOVE [Parents] was born on 1 May 1838 in Clear Creek, Henderson, North Carolina. He died on 12 Dec 1975. He was buried in Love Family Cemetery, Clear Creek, Henderson, North Carolina. John married Rebecca HOLBERT. Rebecca HOLBERT was born on 20 Feb 1845 in , , North Carolina. She died on 5 Dec 1915. Rebecca married John Wesley LOVE. F i Mary E. "Molly" LOVE was born on 25 Nov 1868. She died on 22 Jan 1933. F ii Emma Elizabeth "Emmie" LOVE was born on 8 Sep 1870. She died on 28 Feb 1955. Matthew LOVE was born about 1873 in , , North Carolina. He was buried in Love Family Cemetery, Clear Creek, Henderson, North Carolina. 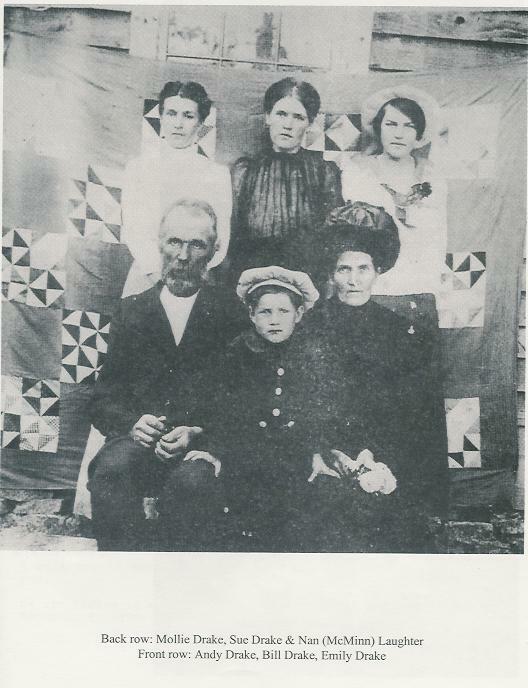 John Lee MC MINN [Parents] was born on 1 Jan 1864 in Clear Creek Twp, Henderson, North Carolina. He was christened in Green Mountain Baptist Church. He died on 2 May 1942 in Hopper's Creek, Henderson, North Carolina. He was buried on 3 May 1942 in Moores Grove Church Cemetery, Henderson, North Carolina. John married Flora Clarissa WARD on 16 Mar 1889. Flora Clarissa WARD [Parents] was born in 1870 in , Henderson, North Carolina. She died in 1890 in , Henderon, North Carolina. She was buried in Ebenezer Cemetery, Hendersonville, Henderson, North Carolina. Flora married John Lee MC MINN on 16 Mar 1889. Della Clarissa MC MINN was born in Apr 1890 in , Henderson, North Carolina. John Lee MC MINN [Parents] was born on 1 Jan 1864 in Clear Creek Twp, Henderson, North Carolina. He was christened in Green Mountain Baptist Church. He died on 2 May 1942 in Hopper's Creek, Henderson, North Carolina. He was buried on 3 May 1942 in Moores Grove Church Cemetery, Henderson, North Carolina. John married Rebecca Anne CLINGENPEEL on 7 May 1893 in Clear Creek, Henderson, North Carolina. Rebecca Anne CLINGENPEEL [Parents] was born on 25 Feb 1878 in Greeneville, Greene, Tennessee. She died on 12 Nov 1963 in Hendersonville, Henderson, North Carolina. She was buried on 14 Nov 1963 in Moores Grove Cemetery, Henderson, North Carolina. Rebecca married John Lee MC MINN on 7 May 1893 in Clear Creek, Henderson, North Carolina. Della MC MINN was born in 1893. She died in 1910. F ii Dora Bell MC MINN was born on 6 Jun 1894. She died on 16 Aug 1945. F iii Malinda "Mattie" MC MINN was born on 14 Dec 1896. She died on 18/18 Aug 1990/1991. F v Nancy Lee "Nannie" MC MINN was born on 19 Apr 1900. She died on 14 Aug 1991. M vi Jesse Albert MC MINN was born on 16 Mar 1903. He died on 14 Jun 1966. M vii Walter Pierce MC MINN was born on 16 Nov 1905. He died on 8 Jun 1990. M viii Andrew Carroll "Andy" MC MINN was born on 21 Apr 1908. He died on 21 Jul 1991. F ix Ora Mae MC MINN was born on 21 Sep 1909. She died on 12 Oct 2002. M x Grady John MC MINN was born on 20 Feb 1911. He died on 20 Jun 1981. F xi Ocie - Osa MC MINN was born on 16 Oct 1914. F xii Effie Estella MC MINN was born on 16 Aug 1918. She died on 18 Jul 1989. Joel Joseph WARD was born in Jul 1830 in , Henderon, North Carolina. Joel married Mary TOWE. Mary TOWE was born in 1856 in , Henderon, North Carolina. She died in , Henderon, North Carolina. Mary married Joel Joseph WARD. F i Flora Clarissa WARD was born in 1870. She died in 1890. M v James Pinkney "Jim" WARD was born in 1878. He died on 4 Feb 1939. F viii Mary Adaline "Sis" WARD was born on 3 May 1852. She died on 3 Oct 1932. Robert Watson "Bob" MC MINN [Parents] was born on 21 Oct 1867 in Hendersonville, Henderson, North Carolina. He died on 27 Aug 1948 in Peru, Miami, Indiana. He was buried in New Hope Cemetery, Peru, Miami, Indiana. Robert married Ida SUMMEY on 28 Nov 1890 in , Henderson, North Carolina. Ida SUMMEY was born in 1867 in , Henderson, North Carolina. She died in 1902 in , Henderson, North Carolina. Ida married Robert Watson "Bob" MC MINN on 28 Nov 1890 in , Henderson, North Carolina. Effa MC MINN was born in 1892. She died in 1893 in , , North Carolina. M ii James Hood MC MINN was born on 19 Sep 1893. He died on 16 Oct 1971. Dinah MC MINN was born in 1895. She died in 1894 in , , North Carolina. 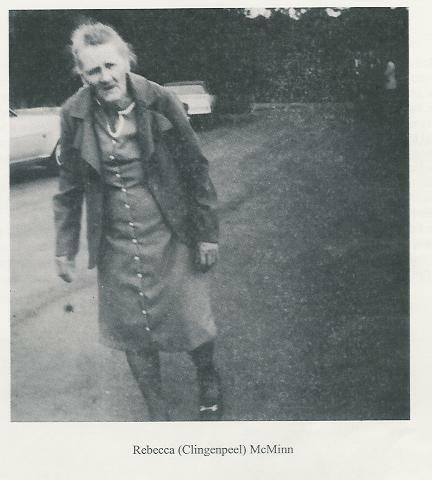 Roberta MC MINN was born in 1897. She died in 1907 in , , North Carolina. Robert Watson "Bob" MC MINN [Parents] was born on 21 Oct 1867 in Hendersonville, Henderson, North Carolina. He died on 27 Aug 1948 in Peru, Miami, Indiana. He was buried in New Hope Cemetery, Peru, Miami, Indiana. Robert married Hannah Margaret CLINGENPEEL on 28 Sep 1900 in Hendersonville, Henderson, North Carolina. Hannah Margaret CLINGENPEEL [Parents] was born on 20 Mar 1882 in Greeneville, Greene, Tennessee. She died on 15 Jan 1966 in Peru, Miami, Indiana. She was buried on 17 Jan 1966 in Mount Hope Church Cemetery, Peru, Miami, Indiana. Hannah married Robert Watson "Bob" MC MINN on 28 Sep 1900 in Hendersonville, Henderson, North Carolina. F i Esther Lavina MC MINN was born on 30 Jul 1901. She died on 4 Mar 1975. M ii Frank Milburn MC MINN "Sr" was born on 8 Apr 1903. He died on 16 Oct 1932. M v Genio Preston "Press" MC MINN was born on 18 Jul 1908. He died on 19 Nov 1979. M vi Raymond Brownlow MC MINN was born on 10 Dec 1910. He died on 29 Jul 1972. Donald R. MC MINN was born in 1911.